Win-Win Marketing and Win-Win Culture - Excellent Cultures Inc.
Bob Mayes is in his third year of a one year commitment to be an Executive in Residence in the Entrepreneurial Leadership Business Program at Oregon State University. He has keen wisdom and experience in marketing and sales, as well as entrepreneurship. You will want to have a notebook handy to take notes as he shares important factors for business success, branding, and marketing. Robert M Mayes is the CEO/Founder of Madison Mayes, Inc. a sales and marketing company specializing in conceptual selling within complex niches. Conceptual meaning that all transactions in life must be a win-win (because all others end in lose-lose). His skill set has made it possible to have successfully helped over 56 entrepreneurial start-ups and public companies in 5 industries to traverse the dangerous phases of expansion, always protecting the bottom line while accelerating sales. July 2012, Mr. Mayes took a leave and fulfilled his promise by returning to OSU to pay it “forward” for his Scholarship. In one school year alone, Mr. Mayes introduced the OSU Acceleration Program, with student created companies or inventions tied in with business leaders help with Angel funding goals. Mr. Mayes selected the University’s top 12 students as interns and the first 7 new concepts/inventions as the first to go thru this Accelerator. What started as an assignment for the College of Business expanded to the entire University and is now under the guidance of the State Governor, who has endorsed this program statewide, funding $2,000,000.0 each to Oregon State, University of Oregon and Portland State. Mr. Mayes has facilitated experiential learning classes for 2 years, bringing his network of entrepreneurs to teach his students “case studies” who are experiencing real-life present time decisions vs. theory. He has also instructed 59 students one-on-one “How to Interview the Interviewer” with 57/59 hired. He has coached 9 innovative thinking teams from invention to market and thus far their records are: 7 first places; two 2nd place finishes—including national, state, regional and super-regional contests. This month he was chosen by the University President to implement experiential learning and the art of finding your career upon graduating, into every college, and all students in grad school, athletics, international students and undeclared students. For the previous 3 years Mr. Mayes mentored a member of the Marriott Family, preparing him for much greater responsibilities within Marriott Resorts International. He also helped implement the successful creation of a new membership offering. This creatively designed club now contributes an additional $5 million annual profit without any additional physical improvements. Simultaneously, Mr. Mayes served as the Chairman of the Board for The Club at the JW Marriott Desert Ridge Resort and Spa. Mr. Mayes has proven his problem solving abilities with many successes in several industries. Prior to his most recent focus, he built his own Company within the niche of selling and marketing high-end master planned communities. Examples include: Whisper Rock; Silverleaf; DC Ranch; Stone Canyon (Arizona); Tehama, owned by Clint Eastwood; Santa Luz (Rancho Santa Fe, California); Glenwild (Park City, Utah); Las Campanas, Santa Fe. Punta Mita, Mexico. His teams have sold over $10 billion in home sites, homes, condos and memberships. Mr. Mayes also served as CEO and Partner of DMB Realty, LLC, where he directed the Company’s day-to-day operations and long range planning, growing the sales from $30 million to over $750 million annually in 5 years. DMB Realty is an operating company of DMB Associates, dedicated to the exclusive representation of thoughtfully crafted residential communities throughout the west and southwest. 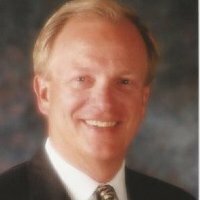 Mr. Mayes is the former President of Sales and Marketing of Las Campanas; a 5,000-acre master planned community in Santa Fe New Mexico. In the first two years alone, residential home site sales exceeded $102 million dollars. Prior to his Las Campanas experience, Mr. Mayes was the President and Senior Vice President of Sales and Marketing of Thousand Trails, Inc. a Seattle, Washington based network of private resorts serving more than 100,000 families with annual membership sales of over $128 million dollars. Mr. Mayes managed over 1,000 sales agents at 46 selling resorts from Seattle to Miami. His company received the “Marketing Company of the Year” award from the American Marketing Association. Roy Rogers became an active spokesperson. Mr. Mayes served as Vice President and subsequently President of GranTree Corporation, a public company based out of Portland, Oregon. During his seven-year tenure, revenues grew from $6 million to $92 million dollars. Earnings had a compounded increase of 102% per year in each of the last four years. Mr. Mayes received his Master of Business Administration from Harvard University, and was awarded the Donald Kirk David Fellowship for two consecutive years and graduated with high honors. He obtained his Bachelor of Science from Oregon State University. While attending OSU he played varsity football and track. He is a member of the Giant Killers football team. He was a member of the Blue Key National Honor Society for the top 25 students and was selected outstanding football rookie and won the Scholar-Athlete of the year award. He was also the only athlete selected to represent Oregon State football at High School Awards Banquets and public speaking throughout the state. In addition to serving on many Corporate Boards, including GranTree Corporation, Thousand Trails, Easy Grill, and the Marriott Club, Mr. Mayes has been featured in the published books, “Selling Machine” and “Conceptual Selling” for his unique approach in mastering the sales and marketing unified process. His sales professionals are regarded as the best in 61 countries and US as well by Miller-Heiman. He was Chairman of the Board of the Santa Fe Boys and Girls Club (increasing the number of participating children, teens and young adults from 500 to over 5000), A Board Member of the New Mexico Governor’s Children Foundation and Chairman of the Planning Commission for the town of Carefree, Arizona.